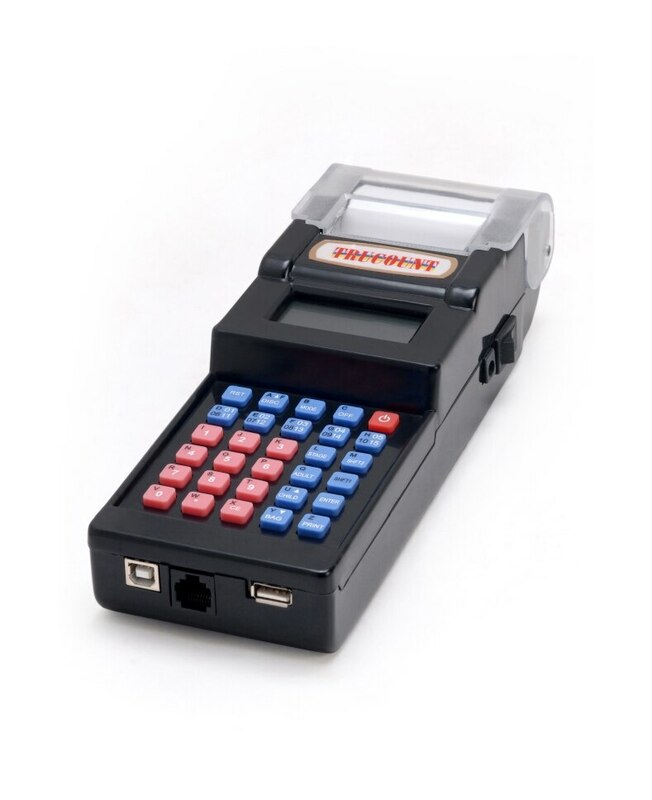 Model: HANDY 30 Brand: TRUCOUNT- We have three software for our handheld terminal. Retail, Ticketing & Parking Application. Easy to operate. Very light weight & handy. Apart from billing & Inventory management, it generate various management Reports. It is battery operated with charging facility. It has USB Port for PC communication. It has four line display. Receipt output is of 2" Thermal Paper. FOR PETROL PUMP REVERSE CALCULATION & VEHICLE NUMBER FACILITY AVAILABLE. GST READY .